While it is impossible to never make a mistake, you should convince the interviewers that you do your best to minimize the number of mistakes. Double-checking every transaction and triple-checking the most important records. Using both “pen and paper” and accounting software, comparing the results of your calculations. Consulting someone experienced anytime you are not sure. Checking IAS and IFSR when other solutions fail. Letting your sub-ordinate, or colleague, to do the same things you do (speaking about the most important tasks), and comparing their results with yours. Everyone makes mistakes. However, I try my best to avoid them, especially when I prepare balance sheet or profit and loss account. I focus only on the job, and I double check everything with my calculator, in order to be sure I did not make a stupid mistake. At the end of the day, total assets and liabilities must be equal, what is a great and simple final check for every accountant. I do not make many mistakes. 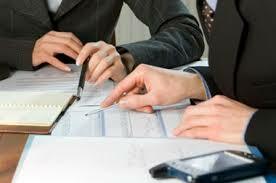 If I am not 100% sure about a record, I always consult one of my colleagues or friends (experienced accountants). I have good knowledge of IAS and I work with them often to ensure the accuracy of my records. I don’t pretend to be impeccable. I make mistakes. However, I do not do them in financial reporting, becasue I understand the consequences a simple mistake would have. Therefore I double check everything and submit the report to the managers only when I am 100 percent sure about them. What is your knowledge of accounting standards?